Full text of their letters to the president of the literary institution explaining their decisions to return the national honour. It is with utmost regret that I convey to you that I wish to return the 1993 Sahitya Akademi Award given in the category of books in English to my work After Amnesia (1992). I do this as an expression of my solidarity with several eminent writers who have recently returned their awards to highlight their concern and anxiety over the shrinking space for free expression and growing intolerance towards difference of opinion. These eminent writers have already stated their concerns in statements sent to you as well as through media interviews and discussions. I need not, therefore, state again what has already been conveyed to you. However, I would like to add that I visited Dharwad in the first week of August, just three weeks before the shocking attack on the late Dr MM Kalburgi which resulted in his death. I was there to deliver the First VK Gokak Memorial Lecture. You may recall that the high office that you hold at present, on behalf of the literary community of our country, was at one time held, among many other mighty predecessors, by VK Gokak. He was the Principal of Willingdon College during the years of the Independence movement. On one occasion, when the police came to arrest students, he stood at the entrance of the college, blocked their entry and asked them to first arrest him before they touched the students. It was this kind of concern for freedom that he brought to the institutions he headed. I hope you do not think that he was not sufficiently pragmatic. When I gave the Gokak lecture, Dr Kalburgi was still alive. Alas, he had to fall to the forces of intolerance. A week after his killing, I participated in a Seminar organised by the Sahitya Akademi. This was in Nagpur. I was to preside over the Inaugural Session. I was quite dismayed to see that the seminar began without a word of reference to the recent attack on a scholar honoured by the Akademi. Therefore, when my turn to speak came at the end of the session, I asked the audience if they would object to my observing a two-minute silence to mourn the dastardly killing. Please note that all of them stood up in silence with me. If our writers and literary scholars had the courage to stand up in Nagpur, I fail to understand why there should be such a deafening silence at Ravindra Bhavan about what is happening to free expression in our country. In 2012, I was awarded the Sahitya Akademi Yuva Puraskar, an award given by the Akademi for writers under the age of 35. At the time, I was conflicted about accepting the award as I wondered if I should accept an award conferred by the state. I chose to accept the award as I believed the Akademi’s official charter that states that the institution is an autonomous, publicly funded body registered as a society under the Societies Registration Act of 1980. Thus, the Akademi, to use an analogy, is an autonomous institution much the same way that public universities are autonomous – they are state-funded, i.e. they are run on public money, but are not government run. The Akademi award is thus a state honour, not a “government” honour – and this is an important distinction. We, as citizens, have as much a claim on the Sahitya Akademi as any government of the day. Accepting the award, I thought at the time, would be a way of asserting our claim on this space of collective articulation, and acknowledging the efforts of the Akademi’s members in carving out an autonomous space for arts and letters in India. Today, I would like to return my award and have sent an email to the institution, informing them of my decision. While I believe the arguments I have listed above are still valid, recent events suggest that the Akademi is neither interested in supporting writers in their fight to push the boundaries of expression and thought, nor in asserting its autonomy at a time when the spirit of critical inquiry is clearly under threat. I am shocked by the Akademi’s refusal to take a firm stance on the assassination of scholar, rationalist and Sahitya Akademi Award winner M.M. Kalburgi (a condolence meeting is not the same as a statement of solidarity) and its silence in the face of attacks on writers like U.R. Ananthamurthy, and Perumal Murugan in the past. This appears to be in line with what Akademi President Vishwanath Prasad Tiwari calls the institution’s “tradition” of staying silent on “political controversies”. 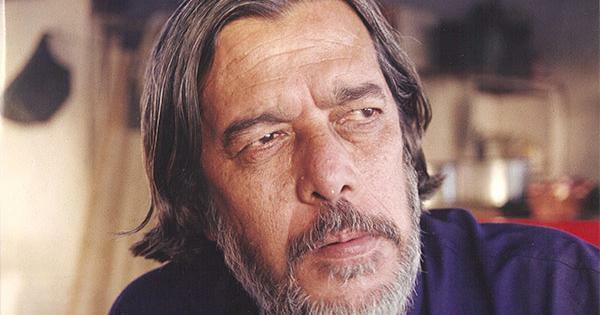 The Akademi cannot simultaneously draw its legitimacy of purpose and existence by celebrating writers like Kaliburgi, while shying clear of standing in solidarity when they are targeted. Here, the idea of a workers union offers a useful analogy in that a union is relevant only for as along it is autonomous and serves its members. When a union becomes a tool for management – as many unions eventually become – workers break away and form their own associations that may, or may not, choose the union form. In this instance, I think, a number of writers (some of whom have written books I admire) feel that the Akademi has failed in its primary purpose of supporting authors. While I may or may not agree with all the views and politics of all those who have returned their awards, I stand with them on this specific issue. Institutions like the Sahitya Akademi need writers, authors, and journalists much more than we need them. We are fortunate that our primary loyalties reside with our readers. It is to our readers that we are answerable, not to institutions of state. Update: This article has been updated to add Aman Sethi's resignation letter.